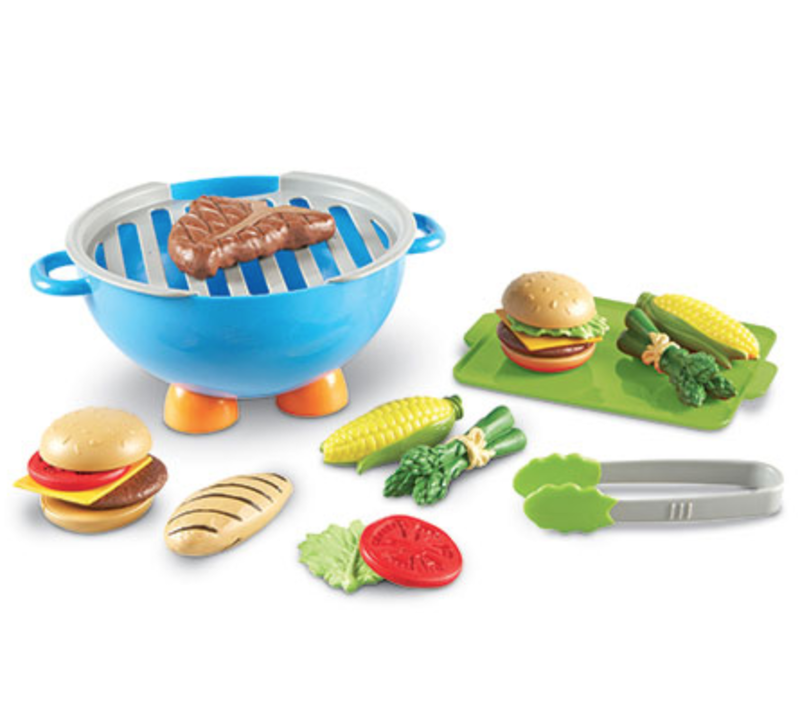 From veggies to steak, chicken and burgers, there’s plenty of mouth-watering play food to cook and serve. Best of all, there’s no mess to clean up and all of the food stores inside the grill for easy put away. There’s no excuse not to fire up young imaginations! Grill it! coordinates with all of our other New Sprouts® play food collections, especially Garden Fresh Salad Set (LER 9745-D) and Serve it! (LER 3294). Okay so if anyone has read some of my other reviews, they know that my husband and I are big grillers. My father in law is practically a pit-master smoker and griller. We enjoy it and do it often. 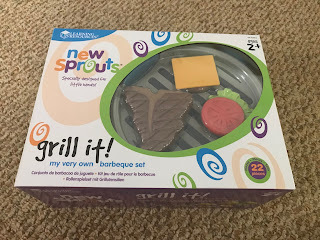 We always knew we were going to get out son some sort of grill toy. This one is so adorable. 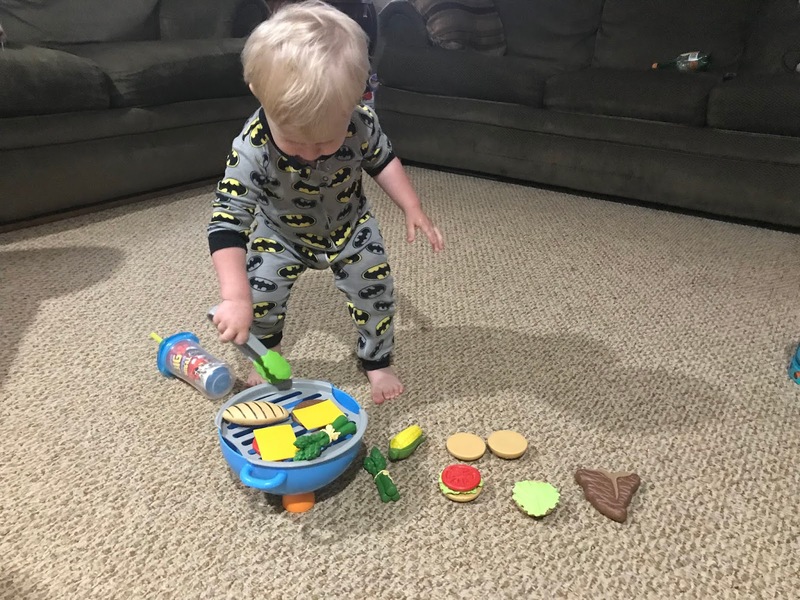 My son really likes it, and was giggling when I was pretending to "eat" one of the burgers after I put together. It come with steak, chicken, burgers with the fixins, vegetables like asparagus, and the tools. It is great too, because you can put everything in the bowl of grill when you are not playing with it and cover the grill with the grate. The only thing I wish is that the grill grate had some way to snap on to the bowl when you weren't using. It would make transferring it easier. It is a great summer toy. This way the baby can be right alongside Daddy, grilling with him.